They are terrestrial insectivorous passerine birds of open, often dry, country . They often nest in rock crevices or disused burrows. 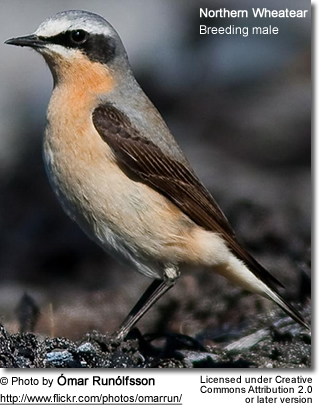 Northern species are long-distance migrants, wintering in Africa. 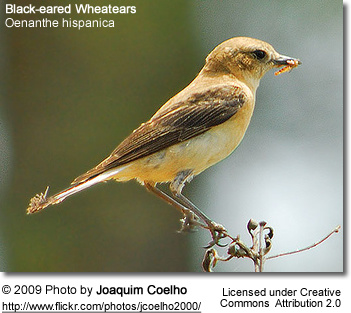 Wheatears are typically larger than the European Robin. Most species have characteristic black and white or red and white markings on their rumps or their long tails. Most species are strongly sexually dimorphic; only the male has the striking plumage patterns characteristic of the genus, though the females share the white or red rump patches.